The Caribbean is abundant in natural havens that many seek out for relaxation and refreshment. Many islands in the Caribbean are frequented with little thought of the locals that live there. The people that provide hospitality and welcome tourists into their country do not live in an absolute state of peace. They have daily concerns that are sometimes collateral damage created by the actions of other countries. A variety of these worries are rooted in climate change. A decrease in the availability of resources, increase in diseases, and higher rates of morbidity and mortality are all areas of concern that Caribbean governments and international actors are intervening to prevent. These factors are further complicated when coupled with the economic disturbances that are predicted to develop through climate change. The complications arising from climate change will have an intersecting impact on societal well-being, healthcare, and the economy. Countries in the Caribbean have an increased vulnerability to negative health effects because of factors like their geographical situation and environmental surroundings. Specifically, these have become risk factors due to the fact that global warming models portray more extreme and uncertain weather events. In addition, these two risk factors influence diseases to be transferred more frequently. For instance, as more extreme weather conditions occur, a simultaneous rise in pollen, mold, and dust will occur. This leads to higher levels of respiratory diseases than Caribbean nations are used to combatting (Sealy, 2018). Vector-borne and zoonotic diseases are also expected to intensify as a result of climate change. These diseases have been frequenting the Caribbean more. Specifically, one of the main mosquito carriers of dengue fever has seen a 9.5% increase in its range since 1950. This means that dengue fever has been steadily increasing and affecting a higher number of people over the years. A study done by the Economic Commission for Latin America and the Caribbean (ECLAC) predicts that occurrences of malaria and dengue fever, already two of the most prevalent vector-borne diseases in the region, will increase significantly as climate change continues to alter historical weather patterns (Sealy, 2018). As the prevalence of disease increases, the adverse effects on a nation’s healthcare system will advance as a dominant force. The survey group analysis demonstrated that there were many strengths within the majority of health systems of Latin America and the Caribbean. The study analyzed Brazil, Colombia, El Salvador, Jamaica, Mexico and Panama. A noteworthy success is that less than 10% of individuals reported not having insurance or healthcare coverage. Despite additional successes, challenges includes that the majority stated that their health system had limited weekend primary care and 30% described that they “had at least one chronic condition” (UCLA, 2016). In addition, this research project identifies the need for more investments into the system appeared as a noteworthy result of the study. There was an strong correlation between more investments and “better health and more equitable outcomes across population groups” (UCLA, 2016). Nevertheless, financing and investing in healthcare is addressed in different ways throughout the Caribbean. However, each method in financing healthcare faced similar problems (Rutten, et al., 2002). Furthermore, the academic journal ScienceDirect published a paper that discusses the current healthcare systems in the Bahamas, Trinidad and Tobago, Martinique, and Suriname. This paper characterizes the problem that small Caribbean territories face when funding their healthcare. For example, they are able to provide a solid level of health provisions as previously demonstrated. Nevertheless, they are faced with a financial burden that comes through the form of tourism from the United States and their former colonizers. The financial burden comes from the expectations that tourists have for Caribbean healthcare. Thus, they have to find solutions for providing for both their own people in addition to tourists which according to this study is difficult for smaller Caribbean nations to finance (Rutten, et al., 2002). In addition to these health-related concerns, Caribbean nations are increasingly burdened by the multifaceted effects of climate change. Specifically, the financial impairment will translate back to the well-being of society. Therefore, in the years to come there will need to be a shift in focus to prioritizing the financial needs in healthcare. Likewise, there will need to be a tightening of the current healthcare systems, and making sure the main health system challenges are addressed. By doing so, nations will strengthen the available services and support their local population’s health. This will enhance each nations’ ability to address health changes caused by climate change. Making sure every part of the healthcare system is well-equipped to face climate change is essential. Especially when the effects from this change are predicted to be so perilous. For example, the ECLAC research team presents that “between 2030 and 2050, climate change is expected to cause approximately 250,000 additional deaths per year, from malnutrition, malaria, diarrhea, and heat stress” (Sealy, 2018). They describe how relocation by 2050 will be inevitable for the people inhabiting many parts of the Caribbean. The message is that not one country in the Caribbean will be spared, and that each must be fully prepared for any disaster they may confront. In continuation, specific risks of climate change include not only increasing disease rates relevant to the Caribbean, but also endangering food and freshwater supplies.These effects are already emerging in the Caribbean and will rise significantly by 2030. In addition, the current effects extend from health to economic concerns, like financing healthcare. Additional economic hardships will be seen through a decline in crucial funding sectors: tourism, agriculture, and fisheries. Influenced by extreme weather events, these effects on the different parts of the economy will translate back to the health of the Caribbean. The government will not have the proper funds to confront the impending issues. Therefore, a strategic plan to combat climate change is needed if the health and economic sectors are not to be dismantled. Specifically, infrastructure and health facilities may undergo intense damage if finances remain low. Fortunately, Caribbean nations are not planning to let climate change destroy their people without a fight. Leaders from the Caribbean, in alignment with international organizations like the WHO, have developed an action plan. This action plan addresses the protection of “Small Island Developing States” or SIDS. Ranging from the Caribbean, the Pacific Ocean, and the Indian Ocean, there are 57 small island developing states are included in this action plan. Thus, the reach of this action plan is significant because it addresses solutions to struggles with sustain development in these islands (WHO and PAHO, 2018). Specifically, the main focus of the meetings for planning the action plan was the health system of SIDS. The director for the PAN American Health Organization (PAHO), Carissa F. Etienne, wrote how “We all understand that climate change will continue to affect our oceans, agriculture, food production and water resources. But ultimately, the main impacts through all these sectors and pathways are on health” (WHO and PAHO, 2018). Thus, this action plan aims to prioritize SIDS and commit to providing them access to the human knowledge and help, technology, and finances needed to combat climate change (WHO and PAHO, 2018). The Action Plan on Health and Climate Change was discussed by various international actors such as Caribbean Ministers of Health and Environment and other partner agencies of SIDS. In addition, the PAHO and WHO have been active in the dialogue for climate change preparation within SIDS. There have been multiple conferences to develop a base for the Global Action Plan. The basis developed for the action plan will be proposed to the World Health Assembly in 2019. The overall vision of the SIDS Initiative and their action plan is “that by 2030, all health systems in SIDS will be resilient to climate variability and change” (PAHO). The Action Plan on Health and Climate Change is a progressive strategy that promotes inclusion of susceptible countries. The specific preparations the plan includes is to provide health systems with early warning systems, and stronger prevention and adaptation programs. In addition, a clear focus is on reducing carbon emissions. To demonstrate their commitment to the health of their nation, Ministers of Health from MERCOSUR and the Associated States have formally signed a document declaring they will prioritize health at “the front and center of national climate change adaptation plans” (PAHO). 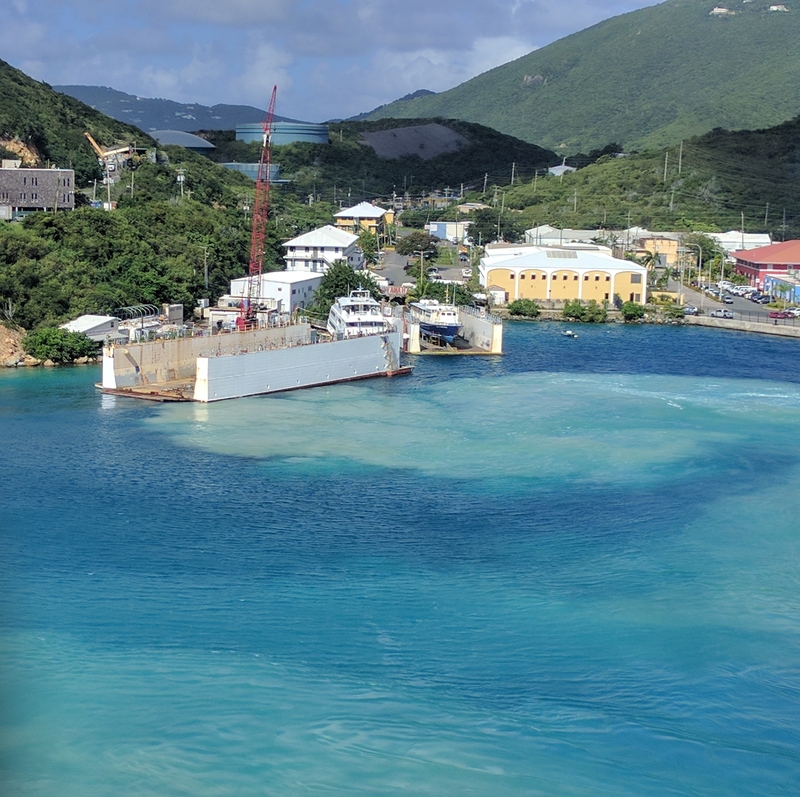 The vulnerability to climate change that the Caribbean nations face due to geographical and environmental surroundings has encouraged the Caribbean to be active in finding preventive solutions. Prior to the Action Plan, they had established programs such as the Caribbean Catastrophe Risk Insurance Facility and various initiatives that focus on the reduction of greenhouse gases. Therefore, they have been proactive in combating climate change. In the years to come, it will be crucial for Caribbean and international actors to remain united in the fight for the health of their people. University of California - Los Angeles Health Sciences. (August 9, 2016). "Latin-American, Caribbean health systems need more investment as populations age". ScienceDaily. Frans Rutten, Ruud M. Lapré, R. Antonius, S. Dokoui, Edison Haqq, Robin Roberts, Anne Mills. (October 2002). "Financing of health care in four Caribbean territories: a comparison with reforms in Europe". ScienceDirect. HUGH SEALY PH.D., M.SC., B.ENG. (October 2018). "CARIBBEAN PERSPECTIVES OF THE IMPACT OF CLIMATE CHANGE ON ENVIRONMENTAL DETERMINANTS OF HEALTH". Pan American Health Organization (PAHO). (N/A). "Climate Change and Health". PAHO. Pan American Health Organization (PAHO). (N/A). "Third Global Conference on Health and Climate Change, 16-17 October 2018". Retrieved Thursday, February 7, 2019. Pan American Health Organization (PAHO), World Health Organization (WHO). (18 October 2018). "Caribbean Ministers approve plan to prepare for the health impact of climate change on Small Island Developing States".